Would you like to expand your movement vocabulary? 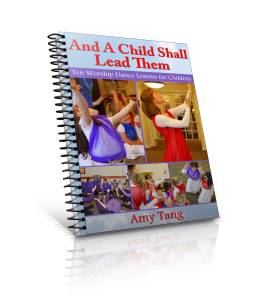 Do you want movement ideas to phrases found in worship songs? Have you gotten stuck before on certain song phrases and wondered how to move to them? 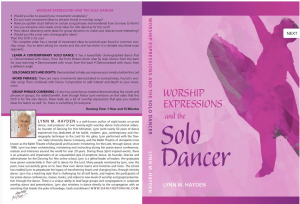 Are you someone who needs some ideas for solo dancing for the Lord? How about obtaining some ideas for group dynamics to make your dances more interesting? Would you like some new choreography ideas? It also has some bonus material demonstrating the words and phrases in groups, for added benefit. 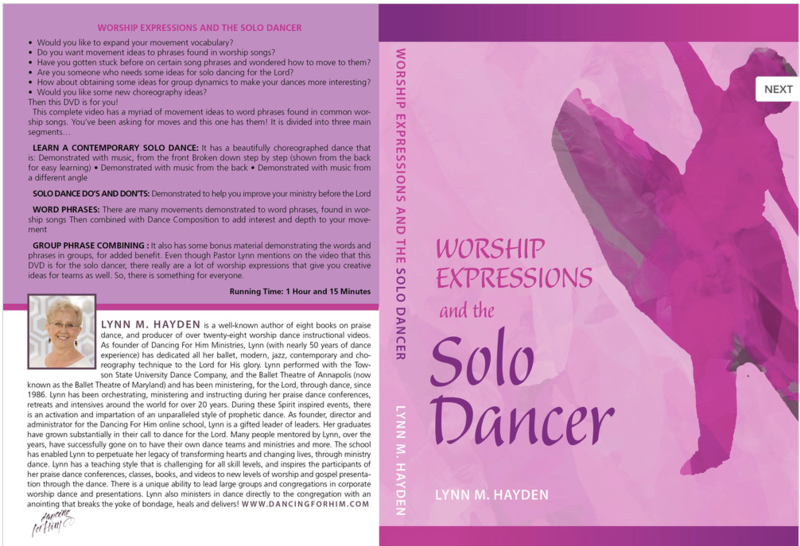 Even though Pastor Lynn mentions on the video that this DVD is for the solo dancer, there really are a lot of worship expressions that give you creative ideas for teams as well. So, there is something for everyone! This is the one for which you’ve been waiting. This is the one about which you’ve been asking. Get yours today. You’ll be glad you did!